For expert skiers, only the most rapid reaction times are acceptable. 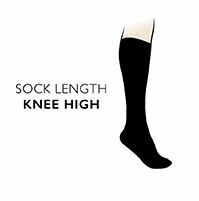 Which is why bridgedale has created super lightweight Bridgedale Ultra Fit Ski Socks, providing the fastest body-to-boot response times and the closest possible fit. Each pair of Ultra Fit uses Bridgedale’s WoolFusion® technology to combine a graded compression fit, with fine Merino Wool and Endurofil yarns to produce a fine sock. Exceptional moisture absorption and warmth with side mesh venting allow quick drying. Forward flex ankle zones permit freedom of movement without bunching, perfect for quick-action manouvering.